We answer the most common funeral flower etiquette questions to take the mystery out of ordering funeral flowers. Sending flowers for a funeral is a lovely way to remember and honour a beloved person who has died. Flowers have been used to celebrate life for centuries and it is still a vibrant tradition for most cultures. 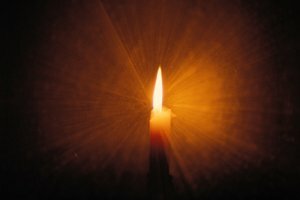 There are a few cases where it might not be appropriate to send funeral flowers, such as to those of the Jewish religion. If in doubt, check with the place of worship or funeral home. Scroll down to find our answers. . .
1. What is the difference between funeral flowers and sympathy flowers? 2. Should I send funeral flowers for the casket? 3. 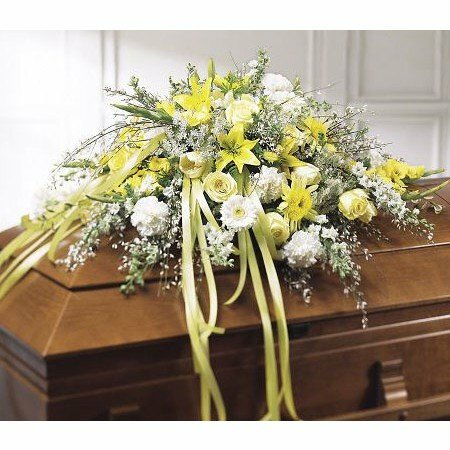 When should funeral flowers be delivered? 4. How much do funeral flowers cost? 5. Who do you address the flowers to for a funeral? 6. What should funeral flowers say? 7. Where should funeral flowers be sent? 9. What colour roses are best for a funeral? 10. 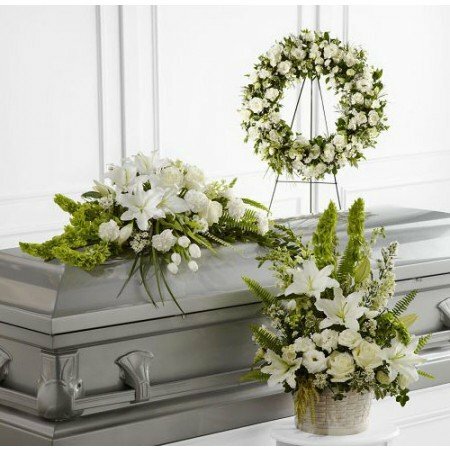 What to do with the funeral flowers after the funeral? 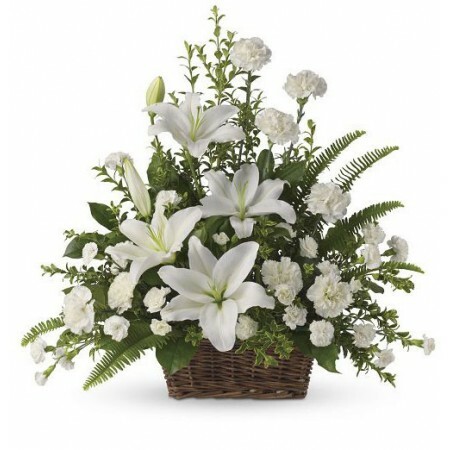 Funeral flowers are normally sent to the funeral or cremation and sympathy flowers are addressed to the home or office of the family of the deceased person. Usually the flowers at a funeral or memorial service are ordered by close family members or relatives. These tend to be very formal arrangements such as casket sprays or arrangements on large stands to decorate the church or funeral home. You can see some examples here. You can send flowers to a funeral as well as sympathy flowers, but be aware that if there are a lot of flowers, they may get left behind or not noticed by the family of the deceased. You can also take flowers to put on the grave if there is to be a burial. Flowers for the casket are usually chosen by the immediate family of the deceased, so if you are a more distant relative or friend, it may be more appropriate to send a smaller arrangement or plant, or to place a wreath at the graveside. 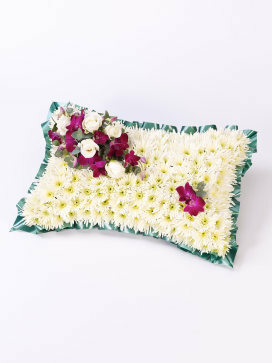 You can also send sympathy flowers for the family of the deceased to their home where they can enjoy them for longer. If you are sending to the church, crematorium or funeral home, it is best if they can be delivered on the day of the funeral. You'll need to make sure the florist knows when the funeral is taking place, as it would be a shame if they were delayed. Make sure you order them early enough for the florist to deliver at the right time. Many do same day delivery, but it would be safer to order them at least the day before, especially if you are ordering them from overseas. You can order flowers for worldwide delivery here. It may be appropriate to contact the church or funeral home to ask for advice about how they prefer to receive the flowers. 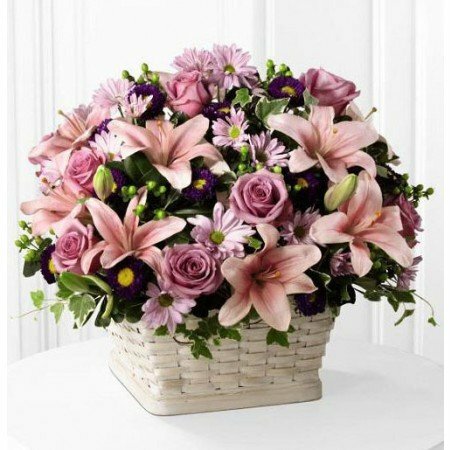 Alternatively, you could send a sympathy arrangement, plant or basket to the family's home. This can be done before or after the funeral. Funeral flowers start from around $50 - $80 for a small funeral spray and can go up to $1000 for a complete package including a casket spray, arrangement and interior casket flowers. Have a look at these pages for some ideas. Flowers sent to the funeral should be addressed to the funeral home, church or crematorium itself and make sure you include the name of the deceased so that they know for which funeral they have been sent. You could contact the venue to find out the exact address, although florists will know where all the local places of worship and crematoriums are. Messages on funeral flowers address the person who has died directly, such as "Rest in Peace" or "We love you". We have a page of suitable messages for funeral flowers here. 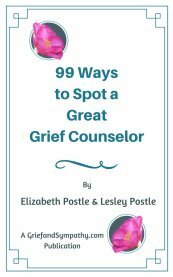 For sympathy messages addressed to family members or friends, you can find samples here. If you are a member of the immediate family, it is appropriate to send your flowers to the funeral itself, or you may prefer to take your flowers to the graveside. If you are extended family, you can choose whether or not to send funeral flowers to the place of worship or funeral home. 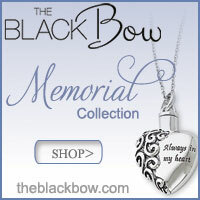 You may find it more appropriate just to send sympathy flowers, messages or gifts to the home. If you knew the deceased well, it may be a lovely thing to write a message that can be read out in the service. Often flowers can be overlooked and left behind at the funeral, so perhaps a gift to the home will be appreciated for longer. For friends and colleagues, it is usually better to send flowers to the family home, or even the office of the bereaved. You can read more about sympathy flower etiquette here. 8. Which funeral flowers should I send? The most appropriate funeral flowers are the ones which you know the deceased would have loved. Don't be afraid to use colour if you know which was their favourite. Otherwise, you can never go wrong with white. You will see examples of funeral flowers in red, white, yellow, blue and pink. The most traditional flowers for funerals are lilies, roses, carnations and chrysanthemums, but your florist will be able to advise you. Wreaths - can be for the casket or displayed on a stand or can be placed on the grave. 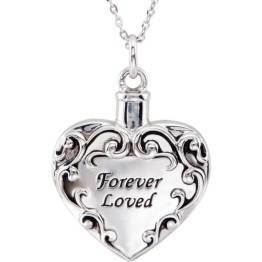 Simple sprays - can be sent by friends and relatives and placed around the coffin or on the grave. Also choose from unusual and unique arrangements, cross shaped sprays, military flowers, heart shapes or flowers for a child. There are many examples of different types of funeral flowers and arrangements on these pages. 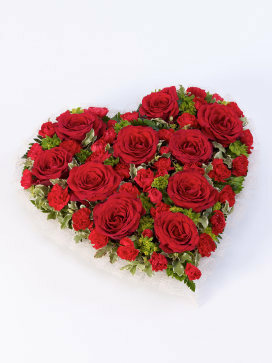 Roses are a beautiful flower for a funeral as they symbolise love, especially red roses. White roses are for remembrance and pink for admiration and gratitude. Yellow roses are for friendship. 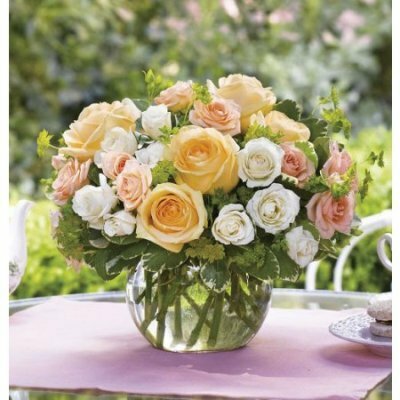 You can see examples of some lovely arrangements with roses here. You can send roses worldwide here. Families can take flowers home if they like, but often they get left behind, especially if there are a lot of large arrangements. If there is a burial, they may be left on the grave. Quite often churches or crematoriums will take the flowers to a local hospital or nursing home where the flowers can be enjoyed. I used to re-arrange some of the flowers if they were too obviously from a funeral, so that they could be appreciated by the people who lived in our residence. I think a lot of people would be happy that the flowers can be enjoyed for longer than just the day of the service. If you have a lot of flowers at home after the funeral, don't forget to save the cards so that you can remember who sent them. You may wish to send thank you cards for the flowers. Another thing you could do would be to press some of the flowers to save them as keepsakes or to scatter with the ashes of your loved one. Although you may not be in a state to think about it at the time, it may be an idea to photograph the flowers so that you can look back and see them when time has passed. It is a comfort to see the flowers and appreciate how many people loved the person you have lost.